Fast forward and you come home with a new cat. Your cat sees a creature that looks a lot like him, right here and now, in his home. Grrr! Hiss! Swipe! …Well, it doesn't have to be this way. Unlike dogs, cats are not pack animals. Whether you're wanting a friend for a solo cat or expanding your feline pride, have sensible expectations and introduce gradually. You can't ensure that they will adore each other, but you can increase the chance of peaceful coexistence. All cats are different. Making a good match is not an exact science. 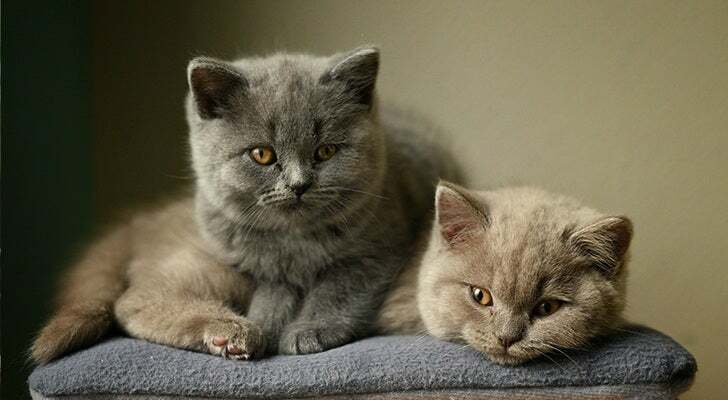 Generally, two cats with similar personalities are more likely to get along than cats whose personalities are significantly different. 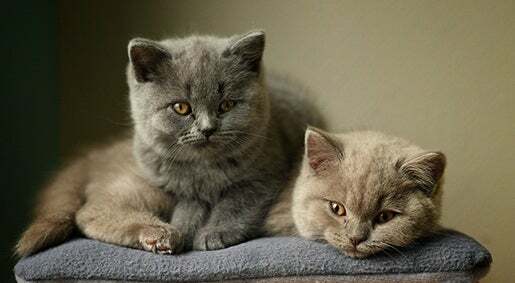 Cats of opposite genders sometimes relate better than same-gender pairs and older cats tend to cut kittens more slack. A possible rule of thumb would be to get a younger cat of the opposite gender. However the problem with sticking to ‘rules’ is that cats haven't actually read them! 1. Smell. At first, keep the cats separate. Put your new addition in a small area such as a bathroom for up to a week. Give them a blanket or pillow that your existing cat has slept on and exchange the items daily. This will help acclimate both your new cat and existing cat to the smells of the other. 2. Exploration. Take some time every now and then to put your resident cat in a separate room and letting your new cat investigate the house. Keep some doors closed so the cat isn’t overwhelmed and you can control where they go. 3. I See You. With one cat confined to a room, crack open the door and let the cats see each other from a distance as you offer them food or treats. If you have a glass door between rooms even better. Gradually decrease the distance between the feeding bowls and, keeping the cats physically separated, open the door a little wider each time. 4. Hello! Once the cats are tolerating the sight of one another, they can finally meet. If you have hesitations this meeting me be best done while on harness and leash. Have toys or treats handy that you can use to help each cat associate one another with something positive and to distract them. 5. …Almost Friends? If supervised meetings are successful, allow your cats to spend time together while you’re home. You don’t need to monitor every interaction. 6. Leave Them Be. With all going well so far, it’s time to leave the cats alone for gradually longer periods. Start by leaving the house for a few minutes, then increase the amount of time until Fluffy and their new friend are home alone together during those long work days. Do you have more than one cat at home? Share your pics with us on our Facebook page!